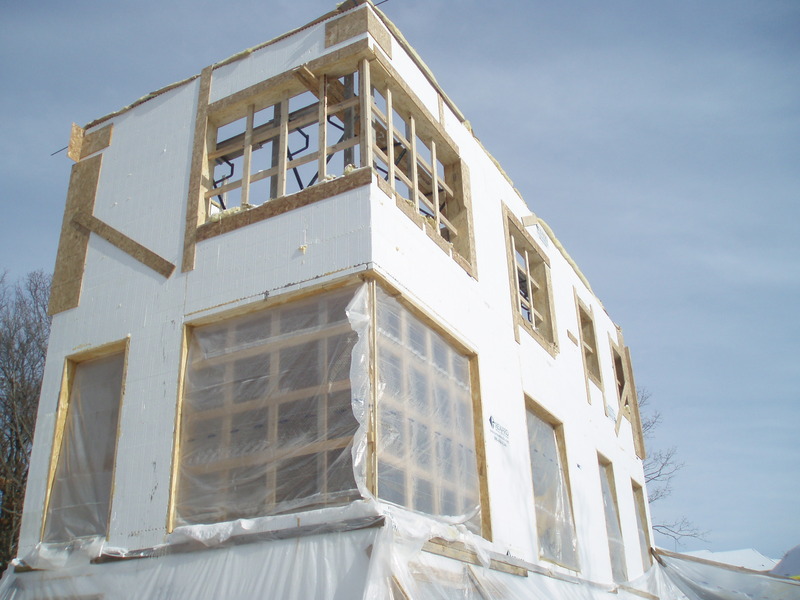 We just received new photos from the site showing the first installation of the added exterior insulation package. 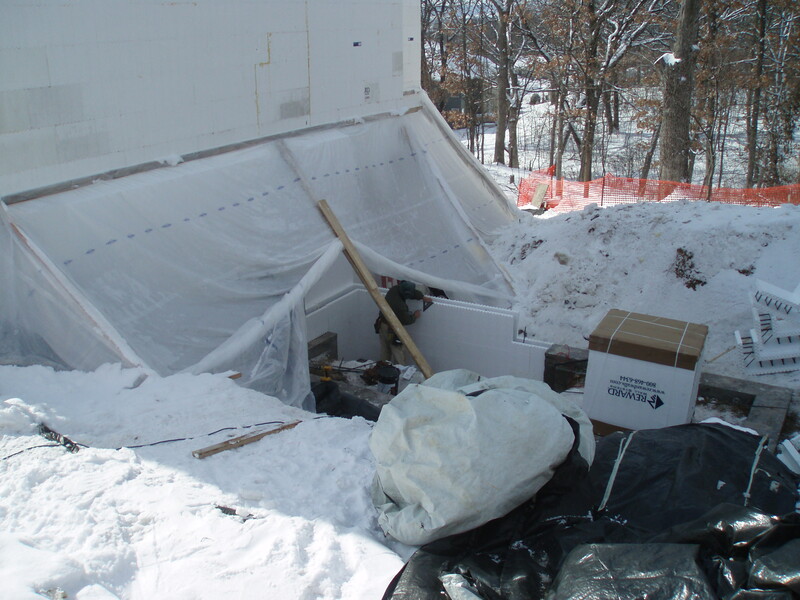 This picture was taken in the area between the house and the adjacent garage (see second image), where 8″ of EPS are placed between two layers of ICF. 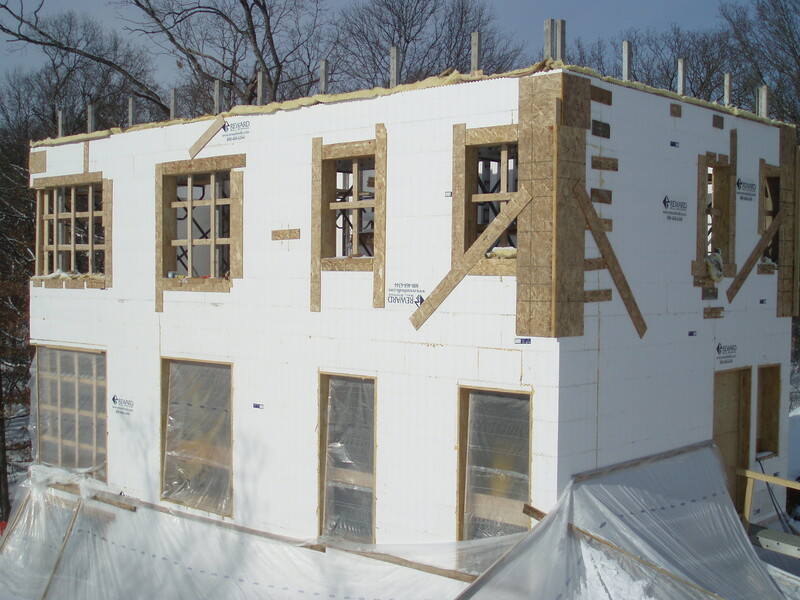 Technically, the garage is independent of the Passive House building envelope. It will be built right next to it. For structural purposes however, both share a common frost footing. Above grade, the garage will be constructed using advanced stick framing. 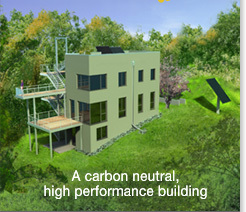 It’s built more conventionally, since Passive House is not a concern for the garage. 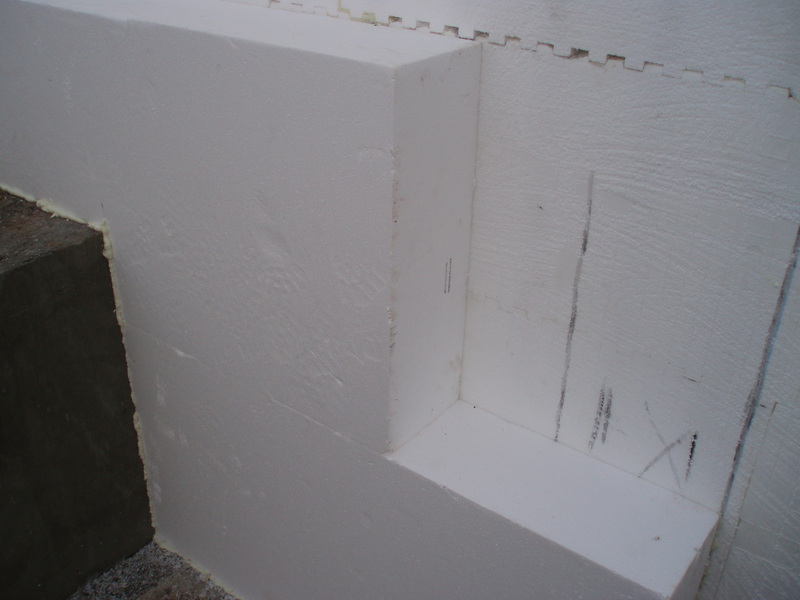 Nonetheless, we decided to use EIFS for the facade of the garage, too, just with a lot less insulation (2 inches versus 11). 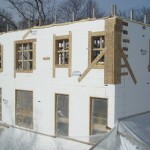 These two images show the second floor ICF structure completed. 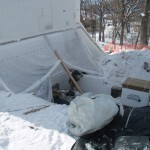 Both corner windows are now roughed in. 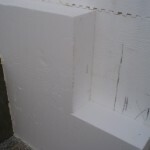 When completed, steel columns will support the corners structurally. The columns are only a couple of inches in diameter, which means they fit nicely in the corner provided by the window frames and do not obstruct the view. 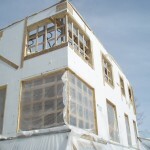 We opted for making the corner with window frames, rather than frameless glass. The latter one would have been more spectacular to look at, but form a performance standpoint, we felt that a glass-to-glass connection was not robust enough.